On Saturday, April 23, 2011, we got a tweet from David that he was at the Prince concert at the Forum. Now, we all know that David has a very broad range of musical interests, from Gospel, to Jazz, to R&B, and more. We all know that Michael Jackson is one of David’s favorite performers. But somehow I didn’t expect this one. I’ve never really been a Prince fan and couldn’t have named one song that he sang. So I watched a video of his encore from the concert David attended and did a little research. To my surprise, I was actually familiar with some of his songs. I remember hearing them on the radio. I just never bothered to find out who was singing them. I never really worried about who sang what, until David. But I digress. What I want to discuss is Prince’s showmanship and David’s presence at this concert. Although I may never actually attend one of Prince’s concerts, I was impressed with his stage presence and certain elements of his performance. When playing the encore for this particular concert, he stood at the piano, he moved around while he sang, and encouraged audience participation, getting the audience to sing along. I was particularly impressed with his grace of movement and the expressiveness of his hands. The David connection: In watching this, I couldn’t help but think about David’s evolving stage presence. It brought to mind songs like “Crush” or “My Hands,” where he too gets the audience involved by encouraging them to sing along or “Your Eyes Don’t Lie,” where he gets the audience to whistle. (That last one is a favorite of mine.) Even on some of the songs on The Other Side of Down, he’s been choosing places where fans can sing. There are also some more subtle moves he’s been making. I am of course, referring to the jump in TOSOD that he did during the NYE performance and the MJ move in the performance of TOSOD in Dallas. I also find that his movements are becoming more subdued and fluid, including his more relaxed and confident strides across the stage during a break in a song. This made me wonder, was David at this concert just to enjoy it? Or could he have been there to study the performance elements of yet another established, successful singer, just as an artist would go to Paris to study with the masters of their craft? Perhaps it’s a little of both. But it follows that if you want to be the best, you need to learn from the best. I think perhaps this may be what David has been doing all along. While we all realize that David is experimenting with his own sound in order to decide who he really is as an artist, let us not underestimate his desire to do well in his chosen field. No matter how naturally gifted he is vocally, he must surely realize that the performance aspect is a critical part of what makes or breaks an artist. 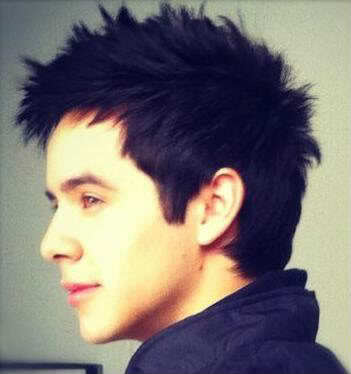 Most of us have watched David since the beginning of American Idol, Season 7. We have watched David grow as an artist, have been here as his voice deepened and became richer as he grew older. We have also seen his performances evolve. We’ve watched as he went from standing at a microphone during his first solo show, to walking away from the mic stand, and then moving around on stage during that first tour. We watched as David began to slowly incorporate a bit of rhythm and movement into his performances and we’ve seen him surprise fans by going down into the audience to sing. Bit by bit, this young man who was once so shy that he didn’t know if he’d ever be able to move on stage has been overcoming his extreme shyness and developing his performance skills. With each year that passes and each new tour, David continues to surprise and amaze us with his growth as an artist and performer. And it’s only the beginning. 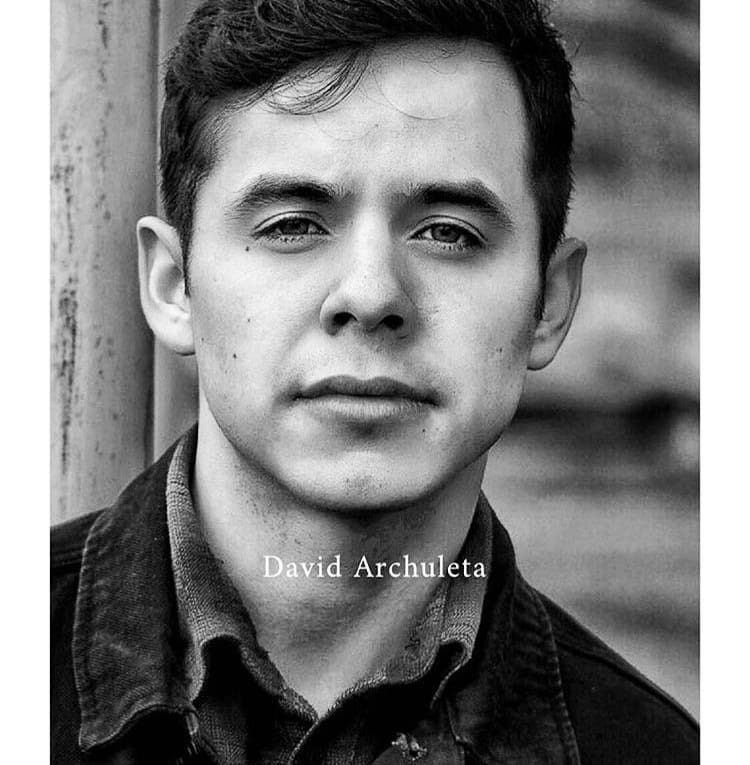 Recently, David Archuleta gave an oral report on some of what he has learned thus far to Truth About Music’s Harris Decker at the American Society of Composers, Authors and Publishers Expo. So while he may not be enrolled at Julliard, I do believe David is attending school, just not in the established manner. He’s learning what works for him and what doesn’t and how to adjust his course. He’s learning that sometimes you have to cut your engines and let the wind fill your sails. To trust himself. If you think back to the concerts he has attended over the last few years, he has gotten quite a broad education in what makes for a successful concert and I think he’s been trying to slowly incorporate what he has learned into his shows. If you want to know how to put on a show that will bring in thousands, what better education than to watch in real-time a pro in action, observing the audience’s reaction to each element of performance? Below is a list of some of the performers whose concerts David has attended, many of whom he has met and spoken with. Quite an impressive group of instructors! What could be better than learning from performers with successful careers, some that have spanned decades? Although David may not be in college, I think he’s still studying (whether consciously or unconsciously) and his education never stops. David knows that there are artists who have been in the business and been a success for many, many years without being vulgar or pulling crazy stunts to keep their fans interested. They are still here today by being good at what they do and by engaging their audiences. These performers are David’s teachers. And our Student Prince is learning fast. 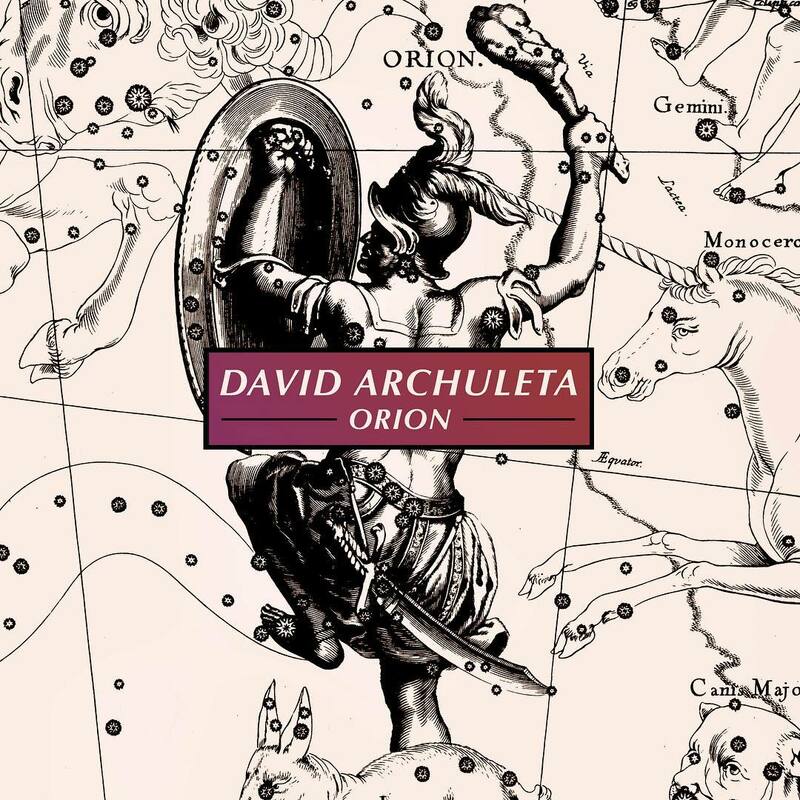 This entry was posted on Tuesday, May 3, 2011 at 1:09 AM	and is filed under Balance, David Archuleta, music, performance art, Personal freedom, role models. 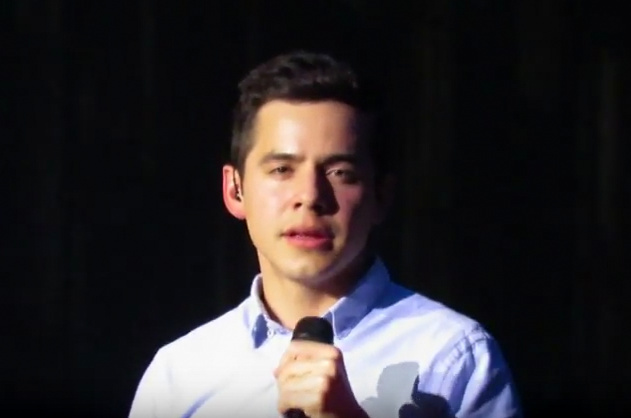 Tagged: David Archuleta, Knowledge is power, U of Life. You can follow any responses to this entry through the RSS 2.0 feed. You can leave a response, or trackback from your own site. Great article MT, thank you! Well, “Here’s a Howdy-Do.” I’ve been in lurk mode for weeks, very happily dialing down the ODD (but still greatly enjoying the articles here). I have worked my nagging chore list way down and even went for a whole week with no David music and only minor DTs. I was proud of myself. But, just like the ditzy blonde in a horror movie who thinks she has finally escaped the monster/alien/IRS agent pursuing her, only to open the door to freedom and run smack into said monster/alien/etc., I opened up that same door and ran smack into that gorgeous photo on D’s official site. And the subject of that gorgeous photo had the nerve to sing GGTT, complete with growls and hitchy-glitches, and the most exquisite version of POTC I have yet heard. Can I say kudos to the guitarist who has the musical skill and taste to follow David rather just strum along? And now Angelica is telling us we have “a situation” on our hands and MT assures us that David is studying up on ways to kill us off. I thought I was free…. Today, I’m putting the classical CDs back in the cabinet and I am putting up my original avi from three years ago. I’m going to need it. Love to all my fellow ODD sufferers. I also believe that there are many ways to learn. I worked for many years with special needs children and many didn’t belong there because they were very intelligent they just didn’t learn in the traditional method. David is receiving a top notch education that many would love to have and he is so smart that he’s adjusting the courses as he goes. That interview is on repeat. David has grown before our eyes into a wise young man. The same day that David attended this concert was Saturday. I remember it well because we were chatting in the chat in The voice and I was surprised that David went to this concert. The girls told me that David likes all kinds of music and was not ecepcion Prince. But the first idea I had is that David was going to learn at these concerts. And one of the girls told me that he had not thought of it that way. Earlier, before starting his own tour, he had been to many concerts and had been amazed at the connection the audience and the singer. David’s like a sponge, abosorve everything he sees and learns very fast, for our benefit. Thanks for this article; a discussion about the growth in David’s performance skills is long overdue! He has come a long way from “Shop Around”. I remember when he said that AI told him it would be okay if he moves around the stage and now…he’s all over the stage! I also remember when he said that he’d hardly been to any concerts prior to AI and then I noticed that he was repeatedly going to concerts when the AI Tour was over. I know he loves music but at the time I thought he should go to as many shows as he possibly can to pick up tips here and there. 1. Fiona: Thanks for being the first to comment! He has always been so talented vocally, but now his evolving physical performance seems to fascinate me. It really does amaze me how much he’s grown in that aspect and how much more confidence he has on stage. Xaris: “MT assures us that David is studying up on ways to kill us off.” < I laughed out loud when I read that. And I agree. lol Love the life preserver! Got an extra for me? Dja: “I also believe that there are many ways to learn.” < Yes, and I think David IS learning in many ways, one of which is by watching, & talking to, other performers. His movements on stage are evolving over time. Each new tour or performance brings something new. I couldn’t help but notice the MJ move (have to admit that Angelica told me where that came from). And that rocker leg lift. I saw the singer from REO Speedwagon do that on stage that time he asked David up on stage to sing with him. Just a thought here but, could that leg lift serve the same purpose that the hunkerdown does in regards to breathing on those long notes? Hmmm…. Gladys: “David’s like a sponge, abosorve everything he sees and learns very fast” < I totally agree. And I think you do very well. I always love your comments. Bebe: Speaking of being all over the stage, remember when he first sang ZG? Wow, what a change in performance that song went through. I seem to remember a fan video that showed 4 screens at once, and I believe it was the first 4 performances of that song. You could watch them simultaneously to see how it changed from standing at the mic to moving and jumping on stage. It was so cool to see the evolution playing out. I remember that ZG mashup well but can’t find it on youtube. Perhaps Abrra saved it to her files?? Stellar vocals on both but I’d say he’s picked up some mad stage skills! Very nicely written!! I think You are absolutely right! 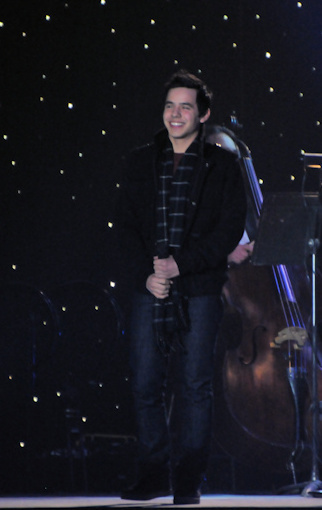 He is going to school in his own David Archuleta way. He is studying to widening his horizons in his own way. Shaping the way he moves along the stage and getting the audience more involved. He has been doing this for a while. My hubby always said the reason he goes to these concerts is to see how other artists create their own individual aspects on the stage. And I have to say, the more concerts David has attended and the more shows I see of David, the more I agree with him. I think David is learning and figuring out what works for him and it is only a matter of time before that magic will appear once again. I vaguely remember classical, now classical is MOTab David and some of CFTH year round. I haven’t even attempted to put myself on restriction. Scary thought. “David’s like a sponge, abosorve everything he sees and learns very fast, for our benefit. “~truly AMAZING to have the privilege of observing the growth of such a unique human being. <3"
Now going back in to watch the "Vlog"
MT…I am enjoying your article very much and the pictures of course. I want to go back and read it once again this evening when there is a chance to really think!! Thank you David, that was perfect. I love what you have written here about David getting a great education outside of a university setting. He is learning so much so fast, more than he ever would in a traditional classroom, the kind of real, real world knowledge that is priceless. It’s amazing how far he has come in the past 3 years in his performance skills. He has a humble, teachable spirit, and that, along with his work ethic and high standards, will propel him to reach further than even he or we can dream. So proud of him and excited to be able to watch his future unfold. That vlog is the perfect follow-up to your article! He talked about the ASCAP expo and going to seminars and learning so much from others and still having so much to learn. He talked about the Prince concert. And don’t even get me started on him singing “Hey Mama.” Big-eyed soulful thang! Just opens his mouth and lays it dooowwwnnn!!! Oh Mama! I laughed so hard at, “In and Out Burger is very dear to my and my families’ heart.” LOLOL!!! I declare he is P.R.E.C.I.O.U.S. 8. Bebe: Thanks for the videos! That first one always tugs at my heart. He must have been so nervous that first night, not knowing what the crowd reaction would be. He was holding on to that mic with BOTH hands. ♥ And look at him in the next one. It didn’t take long for him to realize that his fans loved him. They were there to cheer him on, pretty much no matter what he did. Like Marylee said, he could have just stood there and the fans would have loved him. Also, You can’t help but notice the difference in him when he performs in front of a crowd he KNOWS are fans as opposed to other events. He trusts his fans. And that vlog! Love that guy! and the singing! Angelica: “That vlog is the perfect follow-up to your article!” haha It was! How nice of him to do that for me!! hahahha JK of course. MT–love your article. David is so wise, so teachable, and so willing to learn. How many of us, when we go to a concert, go to learn. David’s one of these that soaks up the atmosphere and the entertainment while also gaining knowledge and creating mental notes as to how to improve his delivery of his songs. I go to be entertained–the end (well, at a David concert, to soak in his vibes). 🙂 Gladys hit it on the head when she commented on how David is a human sponge. So true. Thanks Angelica for the pictures and videos. Almost forgot 😦 that vlog is priceless. 🙂 ♥♥ It really does fit the your article MT. Experience is the best teacher, simple but true. And I think the life experiences will enhance his stage performance as much as the music lessons. Even with this immeasurable potential and growth that you know will come to fruition in the future, at twenty, he is one of the very best performers out there, period. There are many seasoned artists that are years older than him that do not have the stage presence that he does, the ability to grab the audience with a choke hold and leave you grasping for air. Xaris, Howdy-do. Your post, LOL!! I swear, if he gets any sweeter, all my teeth are gonna fall out. Here’s a video that I don’t think was posted yet. It’s “Crush” from Nashville. Love the ending and the shot of the audience! David shares a few attributes with a seasoned entertainer such as Prince. They both ooze charisma and soul. We see by the Nashville videos that David has been working on his stagecraft. His microphone handling has improved, no longer covering his face. I submit that he will be taking cues from his mother on stage movement. She gave him a lesson when they sang at the dinner/benefit in Utah last year. He is evolving nicely from a singer to a performer. Those 4 Stacked videos of ZG were removed from YT. It seems the X-factor no longer exists. I do have them thank goodness! Resistance is futile! Thank you for posting. I want to say that when someone takes the time to comment on an article, we all benefit. It enriches the experience of the fan community to hear your thoughts. MT, I really enjoyed your article —a lot:) What I love about David is how he talks about how he is growing and learning. He does it again in his Vlog. He doesn’t act like he knows it all, or that he’s right about everything he does. He talks directly to his fans about the growing that he is doing as a musician. I think it is one of the things that draws me to him. When he talks about it, and describes some of his experiences, (like at the ASCAP event), it helps me understand him even more. It’s almost like I can FEEL his growth, and in that way, I feel more connected to him as an artist. I don’t know if other music artists do this, because I don’t follow anyone else—I’m a David “groupie”. But, I think he is smart, and like MT said in #15, he trusts his fans—so he is not afraid to speak to us about his journey, and he’s wanting us to come along—-which we all do with our tongues on the floor I might add!! 20. Bebe, that video, at 3:02-3:08, Oh, Man. Love that. I just have to add—-I just love the giggles on David’s Vlog—-love ’em, love ’em, love ’em. ” In-And-Out Burger is just dear to my and my families heart” He cracks himself up—-which in turn just cracks me up. ^^ haha THAT would be awesome! And I agree with you. While I think he may be working on moves … he is definitely oozing charisma. That special something that connects him to his audience, drawing them in, is alrady there. Those pictures of David and MJ bring me back to the memory of having to lift myself off the floor. When I saw David do that little MJ trademark move it buckled my knees. I tell you David can dannnnce! MT – great article. Perfect timing too. So here I was, playing the first youtube video of David that he’s seen since maybe 2-1/2 years ago. My middle name is “Voting” lol. Just so confused! Do I clear cookies? Do I not? I switch back and forth see what seems to make a difference and I haven’t figured it out. “So here I was, playing the first youtube video of David that he’s seen since maybe 2-1/2 years ago. Thanks VJ. Been voting any chance I get. Last night after voting ten times, David’s percentage went down so I don’t get it. Betsy, Which David song did your son learn to play? Great article MT! I love what you wrote here. Thanks again MT. btw,love that MJ move, and I know he got that one from studying! Was exciting to see that at the Majestic, want more of that one! hmm…wonder if we will ever see that blue jacket again? MT–great post! So many great questions to mull over. I have had many of the same thoughts. Yes, our “Student Prince” is learning fast…and he always keeps us guessing and on our toes. Just when we think we know what to expect from him, he surprises us. And yet, his kindness and generosity to his fans remains constant. Hard to believe that he’s only 20 years old…and just getting started! I have to say that his vlog just made me happy. 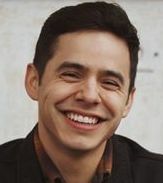 For the ill and depressed: “Watch 2 David Archuleta vlogs and call me in the morning!” Seriously, no matter what he says, you can’t help smiling and feeling better about the world. It’s just like his music, after a hard day, no matter what song of his I listen to, everything seems like it’s going to be OK and that life is good. Abbra #21: I love the new microphone handling too! Sky #31, yes, he really is the most “stay true to yourself” guy on the planet. I really love that about him, especially in an industry where that is so incredibly rare. Dja, This is something I learned about voting from FOD: Use Firefox: DELETE cookies and history as per normal first! In Firefox click on “History Firefox will” and change to Use Custom Settings for History. A new menu opens. There should be a check mark beside “Accept Cookies from Sites”. Keep it there. To the right is a box labeled “Exceptions”. Click on Exceptions. A new menu appears. Copy the web address of the Q102 poll (http://www.q102.com/pages/ultimate-idol/index.html) and paste into the address of website. Then click on block. The site will be added to the Site and Status line. Click close to save the setting and click on OK to save the setting on the options menu. What you have done is NOT change anything on Firefox except that now every time you open the q102poll and vote, your pc will no longer accept and save the q102 cookie. This means you can now refresh/F5 after each vote and it now counts! I used it, and it seems to have made a difference. I have voted continuously the old way and I saw David’s percentage go down 😦 This way it has increased although, very slowly with all the competition we are up against! 😉 Off to work! TTYL! Thank you for sharing your great incite. It was wonderfully written and very heartfelt. I agree completely that David lives his life to learn. He is so very sensitive to others which allows him to observe, and take in the buffet of life in such a meaningful manner. He also has established his own boundaries which allows him to create within the lines he has set for himself! I believe the experiences that he has had during the last three years was far more meaningful to him than any college courses that he may have taken. It was the school of “Hard Knocks” ,in some respects, I am sure. I think none of us really know how difficult that experience may have been for David. Not only did he learn alot about the Music Industry, I do think it strengthened his resolve and helped to form the boundaries that he has so clearly set for himself. Being able to “stand for something” and not “fall for anything”—has all of our continued respect and support. It certainly seems that is a rare and wonderful trait to have in the music business…or any business for that matter. I am thrilled that he has taken the time now to find out where he wants to go with his music. He is creating a masterpiece, and needs time. I have always believed that one should “embrace their passions in life…and then find a way to get paid doing it”! I know many people who have gone to college, looking for that major that will ultimately bring them the most financial success in the future. After years of being in a job that brings them no joy…they are still searching for a way to be happy. They may be making lots of money, but are experiencing no satisfaction in their chosen endeavors. I never worry about this happening to David. Music is David’s heart and soul. He has found a way to bring his inner joy to others…through his music and through his heart. I don’t feel the financial part of what he is doing, is the motivation for his success and happiness. He needs $ to be able to reach others, but it is not what is driving him to do what he wants to do with his music. He found his passion first, and now is finding a way to bring it to others…his way! The world is a much better place with David and his loving spirit in it. Receiving his goodness….through his music and his heart…is like having every day full of sunshine. He has my utmost respect and blessing. He is a class act! I mean this in the best way possible… David’s vlogs are like a “security blanket”. Everytime I listen to one of his vlogs, it feels as if his fans, and everyone who listens, have just been “group hugged”!!! I am still smiling, after wiping away the tears, about his beautiful heartfelt message and song to his mom. What a special young man to be able to feel free to express himself so beautifully. He makes everyone feel better. I hope that he is able to be home for the Mother’s Day weekend and be there to support his mom at her first singing and dancing performance. She is such a beautiful, kind person who deserves the time now to make her dreams come true. 34. Sharon, WELCOME! and Thanks so much for you great comment!! I hope you’ll come out of lurkdom more often! “He needs $ to be able to reach others, but it is not what is driving him to do what he wants to do with his music.” << This. Well Said. Some entertainers do music to make money, David makes money to do music. 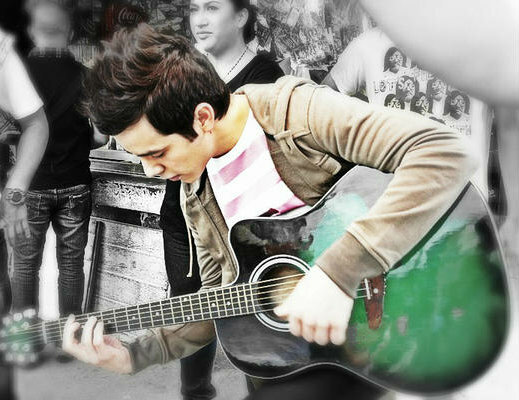 His love of music, and people, is what drives him. haha Sky, I certainly hope we’ll see that blue jacket again … and the moves he made when he was wearing it. 🙂 I am so in love with the vids of SBL and Falling stars from that night. ♥ He was incredible! Kaycee, Dja, Bebe, Archangel48, Sky, VJ, Betsy and anyone I might have missed, thanks so much for your wonderful comments. I love hearing all your thoughts about David. Thank you! I saw those instruction last night and it did seem to make a small difference. We need more man power since we’re against 3 fan bases! I know these people too. Sometimes it takes us longer to realize that happiness is not begot through social status, degrees or money. David’s wisdom at twenty is unbelievable and I only see him moving forward in spite of any setbacks that are lives lessons. Tweets from an Osmond…Filming David! These new films will be up with the others by the weekend at http://www.utahentertainmentawards.com buy your tix now for the event!!! You never what’s gonna happen in the day lol. Life is just full of surprises. Still beautiful weather down in Cali. what?! what?! surprises? I like surprises! remember when he went from a little side head turn, to a full out head whip in ZG. We were all talking about that move forever!! One move… I think he gets a kick out of the fan reaction on that one.Especially when he first threw it in there he made us all go bonkers! Last night on DWTS’ results show, Wayne Brady did a James Brown medley.It was fun to watch,funky soul music but All I kept thinking of was David doing some dance moves of his own.So much of it is feet! James, Sam and Dave, Prince and Michael.subtle and smooth…..I know he has em!Dontcha D? “I feel good! !”♫♫♫dada dada dada da!! Bebe #8— In the Virginia Beach ZG I see a raging battle going on between body and mind! Body: If your gonna sing a song with this beat I want to shake it! Mind: Oh no, I can’t do that–I might look silly—besides I’m stinkin scared. Body: I don’t care what you think–I’m sneaking a few moves out! Mind: Not if I hang on to this microphone real tight– you can’t–so there. Body: We’ll just see about that! Besides there’s always the next time–and I’m not going anywhere. And as soon as the mind felt it was losing-he smiled and grabbed the microphone even tighter. MT–Thank you for your insightful article–which inspired me to take another look at the video of his first ZG–and watch with the sound off, which led to the above post #41. MT-Great article. Love everyone’s comments. Did you catch the move at around 2:41-2:42. I don’t think I have ever seen that! Hey guys!! I feel so far behind in everything DA… but I just have been and am still really busy. I am blessed and thankful. Very glad and thankful as well that you are all here and having a wonderful time and just generally continuing the DA support and love. I flit by often to sip and bask. Dak, one of my favs!! DAk, forgot to say … Love the running monologue. haha And with every tour, and as he gets more comfortable, I think his brain is losing the battle and his natural moves are taking control. My road trippin’ pal Dawn met David for the first time at a VIP in NJ on the Demi tour. She waited to be the last one in line, (a familiar trick of many) so that she might have time to say more than a quick “Hi!”. I think she made a lasting impression ( read: scarred for life 😉 )on David. I will try to recall what she told me about the encounter. It took her days to even speak about it LOL! It was a rocky start. As she walked up to him and extended her hand to him , she tripped. She practically fell into him. He leaned over and helped her up and asked if she was alright. She said the words ( that she was ok) were in her head but didn’t make it out thru her mouth for a good minute. She was Archu-struck. She shook as she tried to have a conversation with him about how much she loved his singing, etc. She finally found her composure and proceeded to explain all his stage “moves” that fans have identified. He is such a tease. He just looked at her with a total innocent face and said something like, “Really, I do that? ” Is he serious? Ha! It was the same day she gave him a black, Invisible Children tee-shirt. We were giddy when he wore it to VIP the next day! I am happy to report that after that, she had no more problems at VIP. He knew her on sight and was always glad to see her. Sky, He is such tease. What could it be??? Hey Mama Vlog making the rounds! Do you think, maybe he isn’t always aware of how he is moving about,when he is so into a song? (Riu Riu Chiu comes to mind)because he makes alot of those killer moves with his body( the “slinking” across the stage and the “shoulder shimmy” with eyes closed. ok I am weak in the knees thinking about RRC on the Christmas tour. GAH! Sky, I think you and Dak have hit on it perfectly. RRC is a great example. 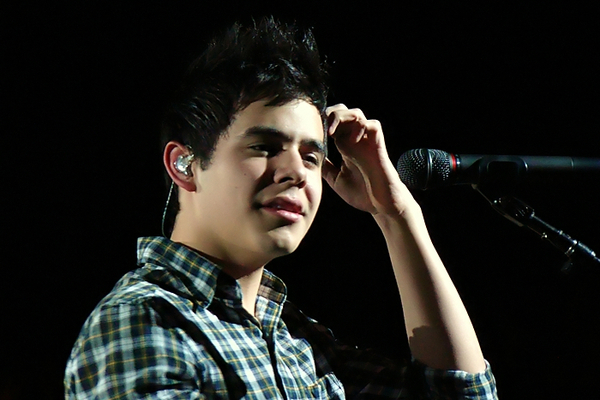 When David is really into a song he stops THINKING about performing and just does what comes naturally. The result is graceful, rhythmic movements that match the music beautifully. And you could be right. He may not even realize he’s doing it. … with David, it’s all naturally built in. gah!we are doomed I tell you!dooooomed! Beautiful screencaps, Dja and Angelica. I’ve always wanted to hear David sing Falling and oh my completely unexpected, as you say daid indeed. I love the interviewer. JR, thanks for bringing that video. That song has always moved me. How unbelievable that he can just bring that kind of emotion into a song during an interview. The interviewer looked like you could have knocked her over with a feather. Can you imagine sitting there and having him sing that to you like that? Wow. This gave me chills. My astute powers of observation just noticed the quote in the upper left corner. 😯 Was that there yesterday? That’s quite a shock to the system. Coming here every day is like coming home to me–you walk in the front door and might not notice the new couch, because it’s the feeling of warmth and comfort and the excitement of who’s home that uses up your senses. So I graciously accept your honor 😳 and thank you for feeling what I have to say is worthy of the Corner of Honor. I also would like to thank my family for their unwavering NON-support in my quest of everything David, my friends here at The Voice for their encouragement and love. Lastly , but not leastly ( new word), I would like to thank David, because without him I’d be like a old dried up shriveling prune lost in the doldrums of life. Oh Dak, you are so full of life and love and fun and wisdom and all good things! Thank you for your contributions to The Voice! I nearly fell off my chair when I heard David sing “Falling”. JR, thanks for sharing it here. I totally agree with you about that song. With David’s lower voice, the song sounds much richer, fuller. Wonder why he chose to sing that song? Not that I mind. Can’t say I mind at all. And whilst I still have a fraction of sanity left, here comes the screen caps!EEK! Then David singing Fallen at ASCAP Expo, beautiful and heartfelt…gah! 61. Dak..BRAVO! ( Dak takes her bows here,to the DElight of the appreciative audience)!! I love your “bring down the house” speech! hahaha! OMG you are too funny! Haha, Dakgal! Standing ovation for your awesome acceptance speech!! 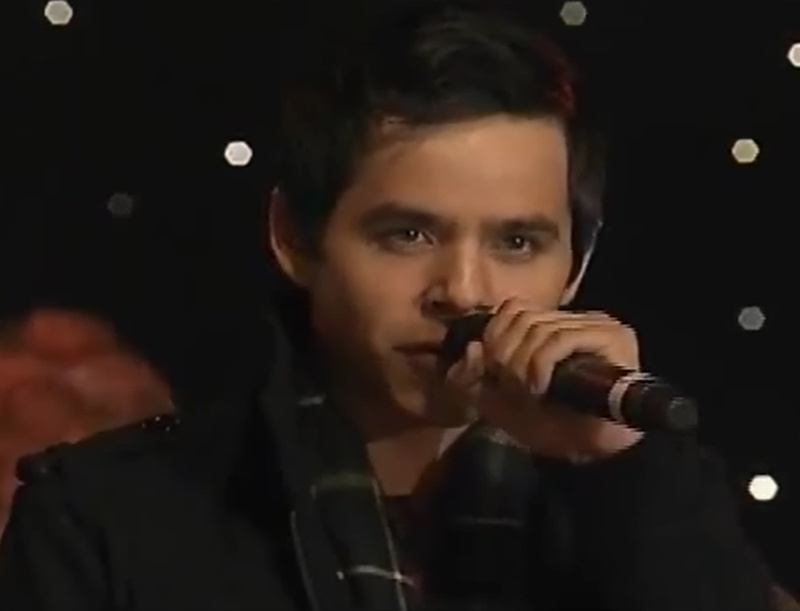 I’m amazed that David sang Fallin at the songwriter event. I never thought we would hear Fallin sang LIVE considering the depth of feeling David felt when he wrote this song after a family friend’s suicide @ age 14. Now some 6 years later he shows so much maturity and shows such a depth of emotion. I know many who appreciate this song because of the hope it holds for so many that identify with this song because of personal experience with depression and or loss due to family members. I believe this is David’s gift to those who might need this and to songwriters who could learn from someone 14. Thanks JR for your dedication. Thank you MT for your article and the discussion. I’ve been mostly lurking! Finally had some time to rip some mp3’s to share. Whew! Abrra, thanks! Was waiting for those mp3s. Duhhh me. I now realize why David sang “Falling”! They probably asked him to sing a song he wrote himself. After all, ASCAP is the American Society of Composers Authors and Publishers! Incredible song and at 14 years old, no less! HA! Abrra. No wonder I’m having trouble losing pounds. David is so excited about going to Indonesia..almost as excited as I was when I was told about his impromptu performance of a couple of verses of one of my favorite songs by David! Dearest JR. You have brought me a great gift. I have never heard this song until now. The difference between the band accompaniment and this acapella delivery is so great you could park a few galaxies between them. But even that would not keep you from being moved. There is no distance between the listener and the echo chamber of his heart. And for once, the key changes make total (musical) sense to me. Where before they seemed a contrivance of the arrangement, now they pattern as neatly as the wing feathers of a soaring bird: they lift and edify me through the journey and I do not despair. He knew what he was doing when he penned it. Here’s to green and a little less rain and storms for so many of you. Hope you are all doing well there in the mid-west. He is so lit from within. So freakin’ happy. Luminous. Abs, I was lurking earlier for a few minutes after work AND eating pizza. You could park a truck in that right dimple. Darn! When it rains it pours! How much David can we take? I say bring it on! what great news for David! He looks so happy. 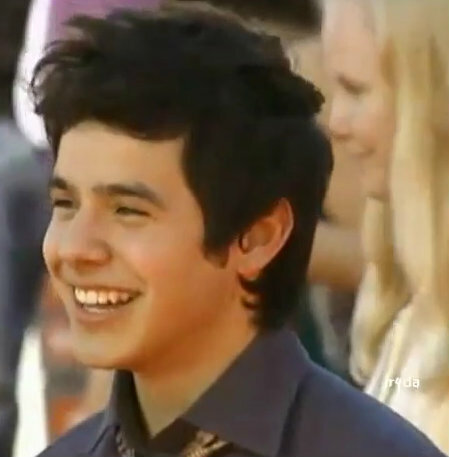 David, you smile, we smile☺ So happy for the Indonesian fans! To be honest,I haven’t felt from David, the level of happiness that I see here in his vlog, for awhile.well, since his blimp ride, (but I mean about musical things.) Seeing him excited for a concert in Jakarta, feels really good tonight.I am so glad its going to happen for him, and the fans! He says a lot in that interview.He has so much going on in that head of his.He is so focused on his goals and where he wants to take his music♥ It is obvious to me in that interview, there is much admiration and respect for David, and his talents, and his philanthropic nature. Just so proud of him I could melt. The video in #82 is a wealth of info. The last question about giving advice to new artists was revealing. It sounds like David wants to tell them to be independent and not rely on outside influence ( read: label)to decide your musical style. The more he reveals about his break with Jive, it sounds like he got away from the contract just in time. The pressure was enormous on him to tow the line on what direction they had laid out for him. Good on you David! Sticking to your guns on the things that matter is a very good plan. Finally stopping in for a much needed breather. Loving all the wonderful news, comments, pics, vlogs and videos … speaking of videos, where is that “slow-mo” or “instant replay” button on the computer when I need it? MT; Love your observations! I’m so impressed at how David values learning, even if it’s on the job and not in the classroom, seemingly finding different ways to improve and grow in his craft. Can you imagine what kind of mentor he will become? Certainly David needs no pre-rehearsed or pre-planned choreography. The music that flows through his soul guides his effortless and spontaneous movements. I’ll take that any day over the glitz & glam of pre-packaged over-contrived staged dance routines. Betsy; Hope that a belated birthday wish is better late than never. And yes, just love his grin, dimples and everything else … but enough can’t be said about those eyes. All I can say is that when I became a fan, I never imagined how much joy David would bring into my life … I’m so thankful to be a fan … so grateful for this site! Did I mention he is Asia-bound once again? Manila in 2 months time – weeeeeeeeeeeeeeeeeeeeeeeeeeeeeeeeeeeeeeeeeee!! I will have a better chance now of giving him the winged-pig shirt. He signed my shirt but I had one made for him! Painted! Coming out of lurking to say……….OH MY GOSH YOU GUYS! I AM SOOOO EXCITED FOR THE ASIAN FANS! THEY SO DESERVE THIS! GO DAVID!…. Sorry it looks like I am yelling but soooo happy! Don’t cha just love being a David fan! love my David family! *thowing confetti*! *doin a happy dance* yipppeeee! What is the “buzz” over there with fans? It will be a grand time for all fans when he arrives! Many thanks to the Indonesians who buy his music and support him so well. When David was here a month ago, at least 2 groups were trying to get him to come back. One for a full blown concert and another for a book signing. David is now trending in Indonesia & Canada. I like what you said.”no scandal, no drugs,……just love, respect” This is what sets David apart from many artists. He does not have the distractions caused by negative forces. I think this is why fans are so devoted to his artistry. We know a good thing when we hear it. Love all the excitement! Happy for Indonesia and JR thrilled for you and the Phillipine fans! David definitely looks Happy, thrilled. Wait ’til he sees he’s trending worldwide! 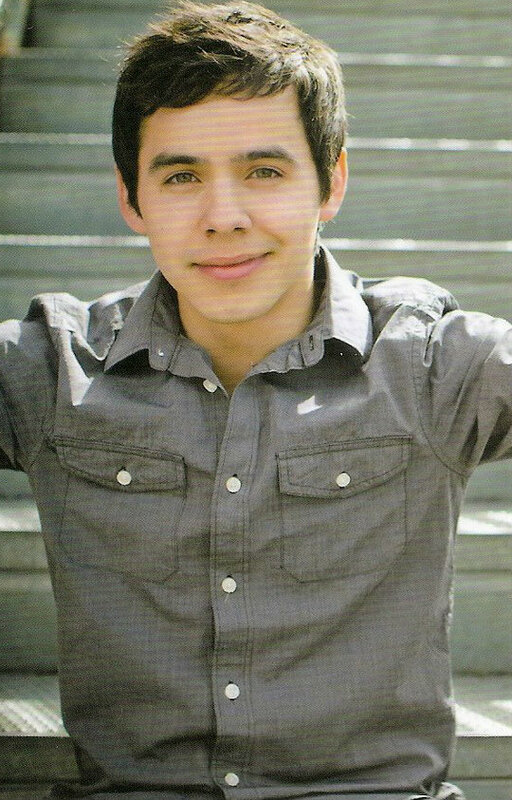 Have meetings this morning but wanted to stop by to let you all know David Archuleta is trending all over the world!!! that is so exciting Dja! Looking forward to deets later. 71.Abrra, I can’t stop looking at Davids ‘biggie sized’ gorgeous face this morning! (so what else is new?)haha! 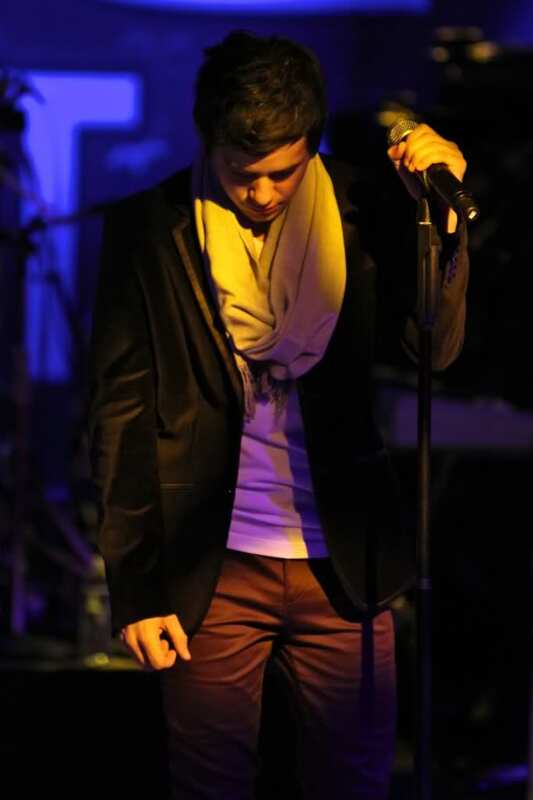 Everyone take a bow for making DavidArchie a trending topic on twitter! 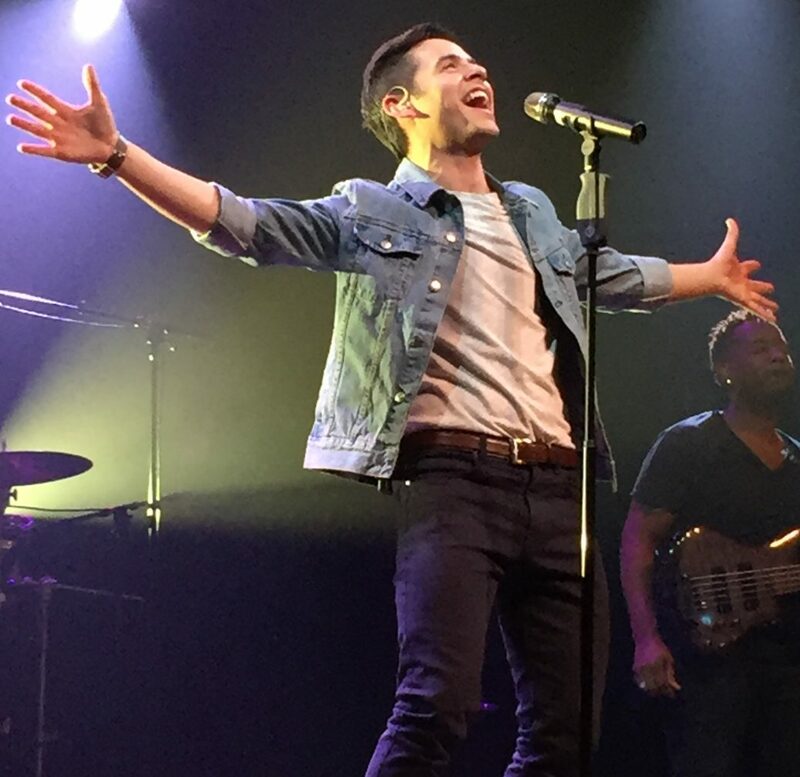 @DavidArchie RT @LadyVmusic I LOVE that @DavidArchie is trending worldwide #davidarchuleta woohoo congrats to all his fans making that happen..
@jhgma13 About 10 minutes ago David Archuleta was trending in 7 countries, 3 US cities, and worldwide all at the same time….FABULOUS @DavidArchie!! The man is feeling the love! He has such an expressive face doesn’t he? It was a challenge to catch him looking directly into the camera. I would love to get reconnected here with the Singapore\Manila fans. Tell us what is going on in your area to prepare for the arrival of the BEST SINGER in the world? Post here in the comments if you have a local DJ that is a fan of David? And still trending worldwide and in several countries! Interesting tweets of those wondering what happened, why is he trending? 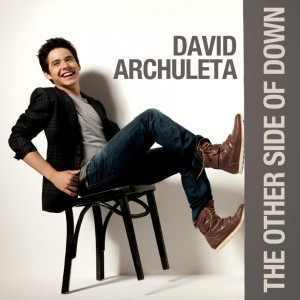 david archuletaFormer Idol runner up announces tour dates, fans go crazy. Looking for David Arculeta tour dates? The American Idol runner-up has taken to his video blog and has confirmed that he will be heading to Indonesia! 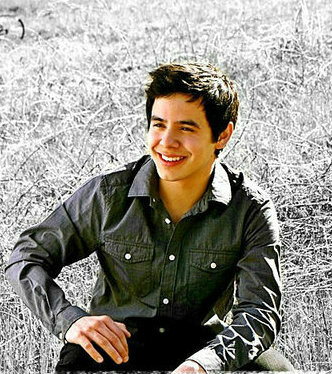 Archuleta fans around the world are super excited as the Idol alum will be performing on July 16, 2011 in Jakarta, Indonesia. 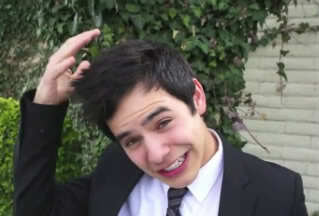 During his brief video blog, David Archuleta also tells his Asian fans to stay tuned for MORE tour dates! 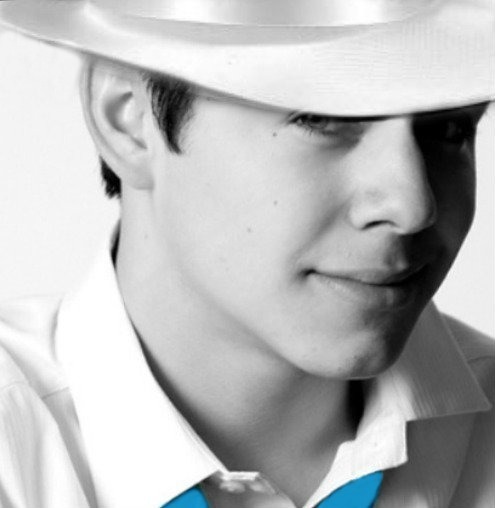 Today David Archuleta fans are showing their support by trending the young singer’s name on Twitter. While Arculeta may not have won American Idol, he still has a very large fan base and is on the road to an extremely successful career in the music industry. IT IS CONFIRMED! 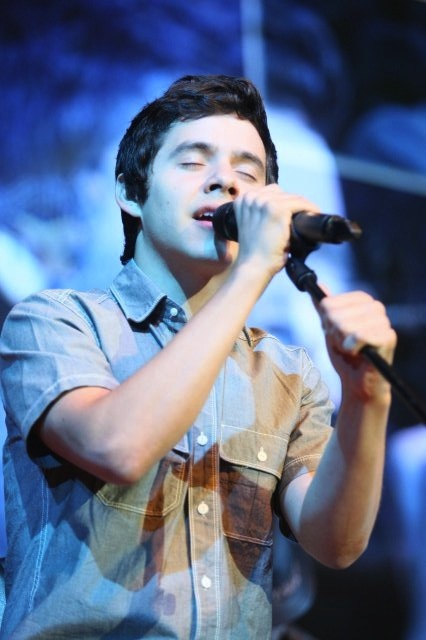 David Archuleta in Manila 3 on July 18th. Let me share with you the joy that I am feeling right now . Remember, when I told you guys that me and a team of AP peeps are in constant communications with Ovation Productions? 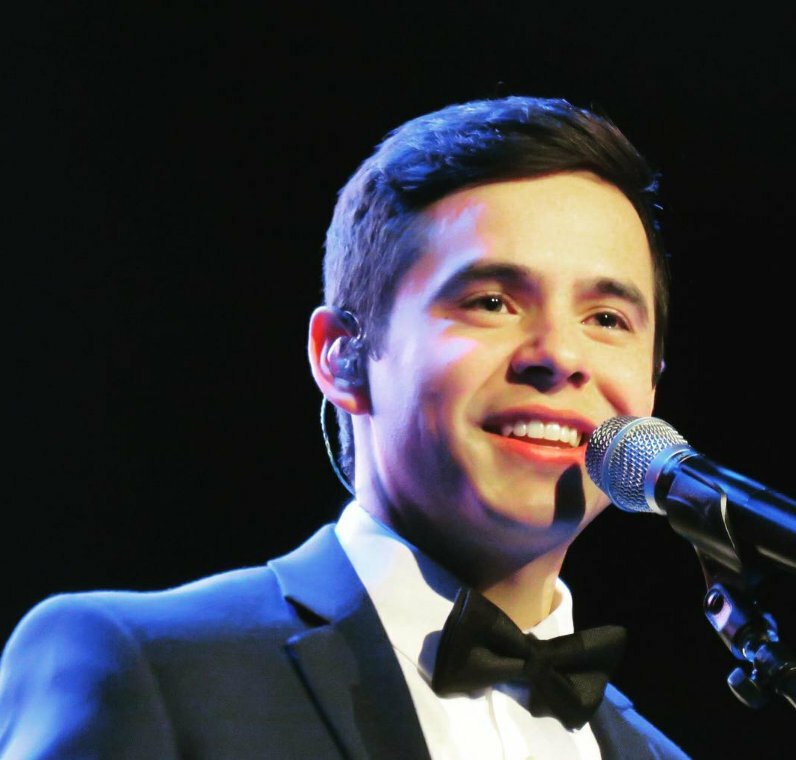 Just so you know, after the DALIM2, we never cease communicating with different production firms and provided them numerous reasons why it is a “must” to bring David Archuleta back in Manila. It even brings us to virtually meet David’s agent from CAA, who is responsible for his booking internationally. Today, I got an email from Ovation Productions and was told that they have confirmed the date for the David Archuleta Live in Manila 3. Yes you read it right! 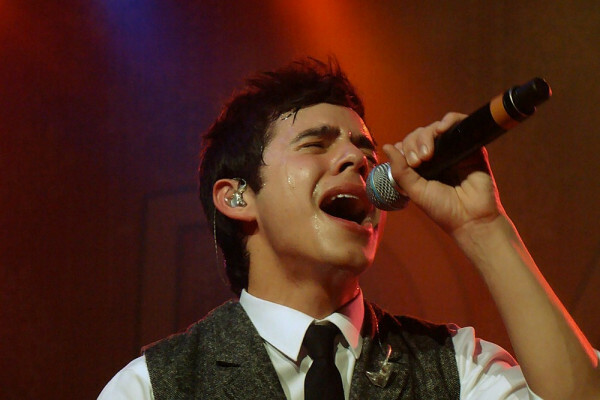 David Archuleta will be back in Manila for the third time. He will be performing at the Araneta Coliseum on July 18th. 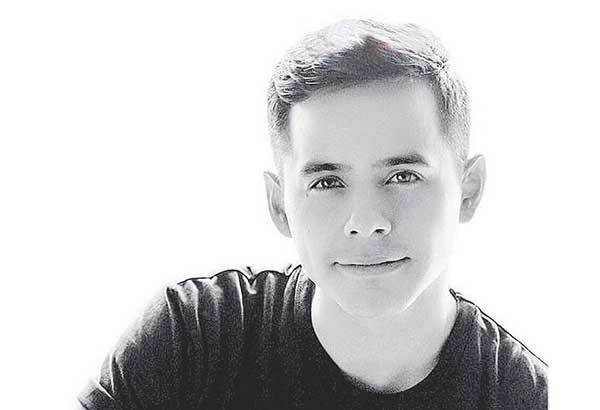 Ovation have not provided the costs of the tickets yet, but one thing is for sure though, David is back in the Archuleta capital of Asia…Manila. It’s time to gather the Team Hotel and Team Airport once again guys, and make David’s return in Manila the best experience ever. hahaha. You guys may read my email conversation with Ovation Productions below by clicking the image. Let us all unite Archies. Let’s make David’s come back in Manila a huge success just like what we did during his First and Second visit. You guys should also watch out for the video blog that he will be making any moment today. Woooohhhooo! Just got home from a day out with my spouse. What a crazy fandom we are! David announces two tour dates two months away and the news spreads like a wild fire and causes him to trend world-wide! Who else could cause that kind of excitement? 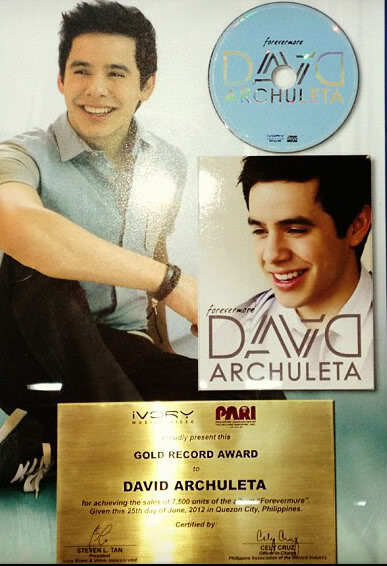 Congrats to JR and all our fellow Archies in the Philippines and Indonesia! That concert in Manilla sounds like it’s going to be epic! 25,000!!! So great to see a celebrity trending for something positive. Maybe it could start a new trend? Today was one of the most beautiful days in NY; it was a warm 70 degrees. Spring has finally sprung. That would have been good enough but to come home to a spazzfest is so thrilling! David trending worldwide! It’s about time! Ascphil, JR, I couldn’t be happier for you! Araneta Coliseum sounds divine! JR, you say acoustics are…heavenly! That makes amazing videos for the rest of us. Sorry but I still feel cheated that we never got good videos from Anaheim. Tomorrow is the Kentucky Derby and there’s a horse racing by the name of “ArchArchArch”. (There’s another one called “Pants On Fire” heh!) Whether it wins or not is irrelevant to me. David is already a winner! Abrra#101 Old interviews FTW! Thanks for posting those gems! I’m really enjoying what seems like an explosion of love for our guy. It is an understatement to say that it is long overdue. Wow! David trended worldwide and I was unaware of this? This is what happens when real worlds collide. Munk- I love when you post here. Please continue to do so! Eloquent schmeloquent – I post all the time and even write sometimes, and I don’t know the meaning of the word. :)It’s all David’s fault. He brings out the need to write. May I just say that I love the overseas fans? They have never wavered in their support and love for David. Company coming, can’t stay. Just want to sccreeaaam with excitement for David!!! I have been so caught up in GGTT I had not listened much to the other Nashville songs (except POC). That TOSOD is ‘like so cool.’ It has that same jazzy vibe. I especially love from about the 3:30 sec mark on, and looooove that guitar arrangement, listen especially close during the “down, downs,”…aaah, I love it! I hope this guy stays with David for awhile. Now I am stuck on the TOSOD. What’s a girl to do. I am doing the same with Crazy AGAIN, from Zoo-a-Palooza. I must be stopped or I know what will happen. But first, I shall check out TOSOD, Nashville style. I think I’ve only listened once or twice. Ok, then right after I watch David’s old Nashville vlog that just popped up. I can handle that, David. I’ll admit that I’m not a big fan of acoustic shows because I just love the sound of a full band in any setting. However, this set proves me wrong. The two musicians enhance David by staying in the background just enough to let his voice shine in all it’s glory. Kudos to the new band!